We’ll agree: many people like scary things for Halloween, but there are those of us with kids too young to appreciate a good fright, or those of us who just want the creepy without the scary. We present several off-the-beaten-path locations of Halloween that offer family fun, minus the family counseling. People just like getting lost. Meuer Farm offers visitors a chance to get lost in a “Back to the Future”-themed maze. That’s right: families can explore the closet thing to Marty McFly in Wisconsin. Work on the maze starts in February of each year with growing, cutting, and mulching completed by the opening date in September. Meuer Farm wants every family member to enjoy this maze, so it’s wheelchair accessible. Even the hayride is wheelchair friendly! This hayride lets families take in the wonderful fall colors while expanding their minds about nature. 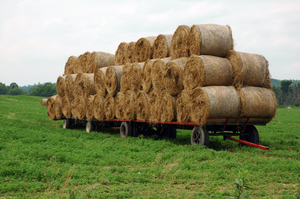 Enjoy the farm’s two-mile, forty-five minute long hayride, where visitors learn about Brothertown Creek, beef cattle, black walnut trees, and much more. Country music and a country corn maze go hand-in-hand. 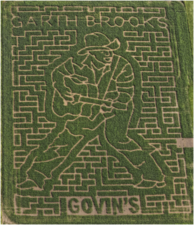 This year’s maze is Garth Brooks themed. Families find their way through 11 acres of the country king. Don't worry – there are “corn cops” who help lost visitors. Charity isn’t only for Christmas. 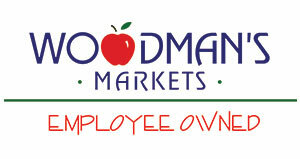 Govin’s donates a portion of ticket prices to charity. This year’s proceeds, not surprisingly, go to the Garth Brooks Teammates for Kids Foundation. Govin's makes sure your kids enjoy their time in the corn maze, while making sure other children get a chance to enjoy a healthy life. Govin’s doesn’t stop after the Halloween season. From springtime lambing barns to summertime strawberries, there’s even a restored events barn, ideal for a country wedding. Gavin's is a round the-clock stop that family must see. Round trips are essential. Oulu Corn Maze’s hayride delivers families straight to the maze in one shot. Talk about service! Junior Hardy Boys and Nancy Drews, grab your magnifying glasses and start looking. Sleuthing is part of the Oulu’s fun. From the start, “you will begin your hunt for hidden posts” along the maze. Location is key. Oulu is 15 minutes away from Lake Superior. Stopping here allows families to visit Brule River State Forest and experience biking, hiking, and camping. This corn maze is great for families that want to encounter the traditions of Halloween with the beauty of the Northwoods. Activities for one. Activities for all. Red Ridge Ranch is more than a maze. Kids get a full array of choices: pumpkin painting, inflatable moon walk, and a petting zoo. There’s even a hayride for a relaxing stroll through the country and horses to see. Think mazes need longer hours? Good, because Red Ridge Ranch offers not one, but two different time opportunities for families. Enjoy the seven day a week corn and hay mazes from 10 am-5 pm, while during October, from dusk to 10 pm, the Ranch transforms into a “haunted maze” experience. If you need family fun with a little bit of scary, then this is a must stop. Cowboys never slumber. Red Ridge Ranch offers activities after the maze and hayride season end. Throughout the year, visitors can ride horses and cover over 250 acres of trial. With a motto of “a happy horse is a joy to ride,” these cowboys want the best ride for everyone. There's even a video to prepare your family. Bigger isn’t always better. 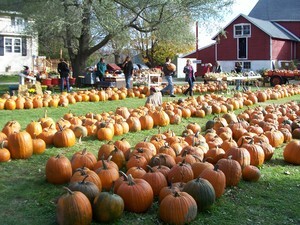 If 10- or 11-acre corn mazes are just too big, then Jim’s Pumpkin Farm is ideal for your family. 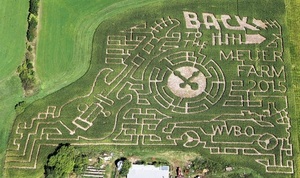 This 4.5 acre maze changes each year, so retuning families never get bored. Jim’s is located in Germantown, making it a perfect country secret right outside Milwaukee’s metro area. Jim’s carves out activities for just about every age in your household. Corny Lane is stacked with whimsical cutouts perfect for pictures. Move over Build-a-Bear, because Jim’s has a “stuff your own scarecrow.” Imagine the photo opportunities with your youngest family members! Jim’s is a family farm at heart. This is a fourth generation family farm and isn’t stopping anytime soon. With country life becoming less of the norm, Jim’s dreams that every child experiences cornfields, pumpkin pies, and jack-o-lanterns first hand. This is an old-school approach designed for great fall living. Remember, Halloween is more than chills and thrills. This is an ideal season for families to visit the outdoors before the winter snow traps us indoors. So, get everyone ready. There’s less than a week left!